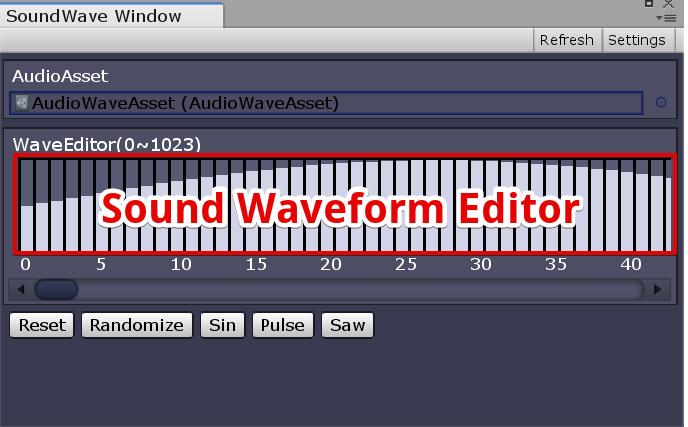 Unity-SoundToy contains sound waveform editor. 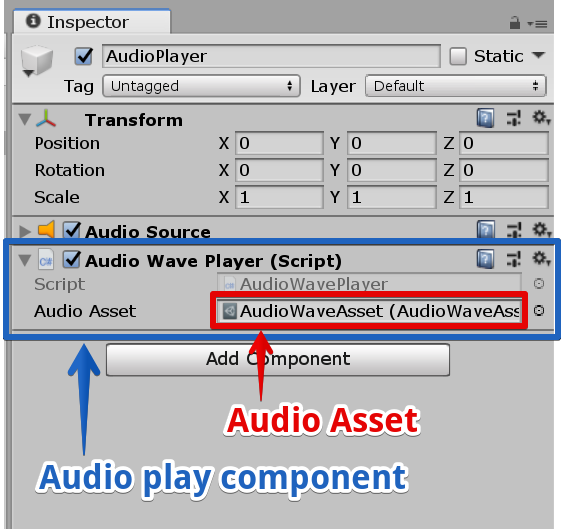 Register “AudioWavePlayer” component to GameObject in Hierarchy. Audio will play in runtime.